And the case is closed! Thanks to Barry for going above and beyond to hunt down and confirm this news. I for one am pretty happy he’s not dead too. Given that this is the Sonic fanbase, it should surprise no one that there is a lot of product out there that many feel is…..below average. The mid-2,000s is still an era that Sonic is recovering from in terms of brand image. Basically, there’s a lot of “crap” out there and to be honest, many of us enjoy some of that crap. Many things that are downright hated by most in the fanbase. 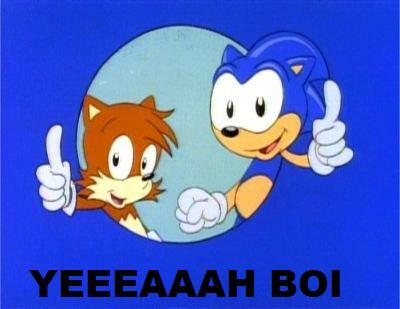 There are Sonic Underground fans, Shadow the Hedgehog (game) fans, Sonic Rivals fans…..even people who like Sonic ’06! They do exist. And hey, I’m not gonna bash on someone for what they like or tell you that you have poor taste. This is the Sonic fanbase, a little poor taste comes with the territory. (I’m just kidding! Don’t hurt me!) Even I got some choices that tend to be frowned upon that I genuinely enjoy. Here’s my list of guilty pleasures in the Sonic franchise. Sonic’s love of drag goes too far. Okay, this one’s low on the list because there’s still a good chunk of the fanbase who’ve enjoyed it . That said, you gotta admit that for the most part, it’s still pretty awful. The comedy is almost strictly for young children and the characters and stories are just too goofy even for someone like me who really enjoyed Sonic Colors. 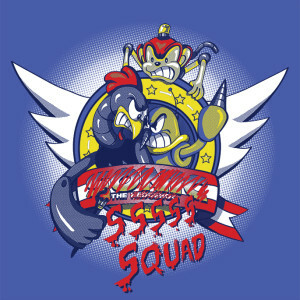 Sonic and Tails come off as bad Looney Tunes wannabes and tend to be bland. So why do I still enjoy the show? Two Words. Doctor Robotnik. 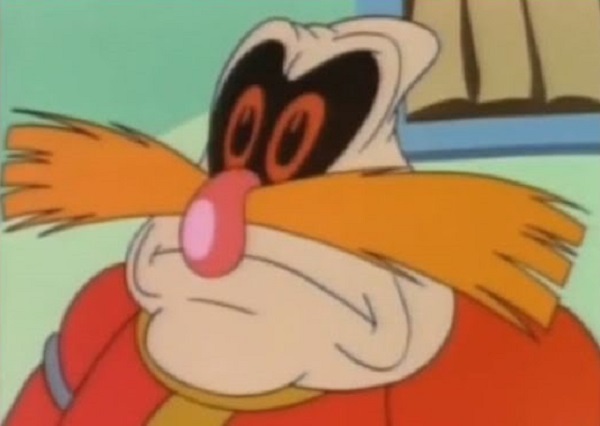 Truly the only way to really enjoy the show is NOT through Sonic and Tails, but by enjoying the ridiculousness of Dr. Robotnik himself. 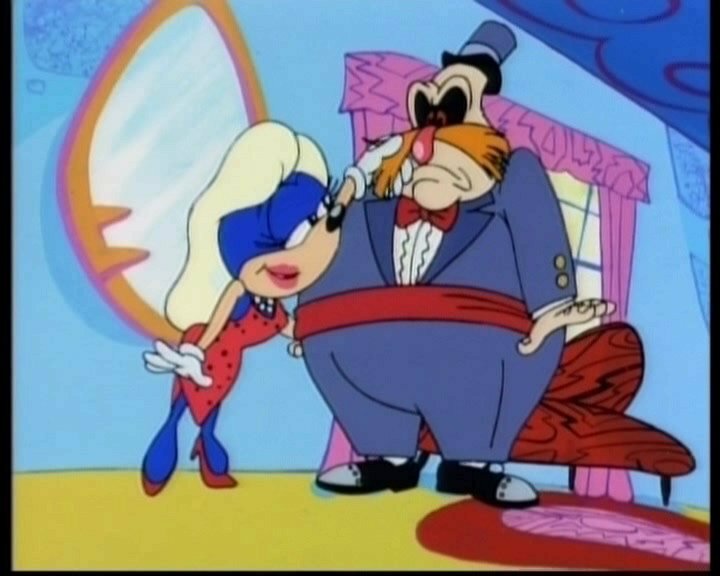 He comes off as the worst, most ineffectual villain, but the way he’s designed and the constant abuse he takes from both his stupid lackeys and his hilarious, overbearing mother (who has the same moustache as him) make Dr. Robotnik the reason to watch the show. This is punctuated by the late Long Jon Baldry’s voice which was perfect for the role. I’ll even admit that there are some episodes that are actually genuinely good. The main one being the four part time travel story which also had the best animation of the whole series. The Adventures of Sonic the Hedgehog. Not good enough to be considered a quality show, but just barely bad enough to be a guilty pleasure. I know what you’re thinking. “Wait a minute Jason! Wasn’t this in your list of WORST Sonic games in the past generation?! !” Well yeah, as a game that dares to call itself SONIC 4, it comes nowhere near living up to that lofty goal. However, let’s look past the title. 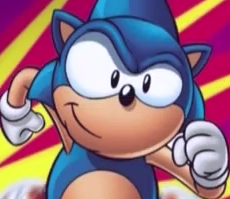 What if this game was called…I dunno “Sonic’s digital arcade adventure” or “Sonic the Portable” as some background images have hinted at and it was just a simple, arcade downloadable without having to live up to that huge legacy? Well then, it’s actually a pretty good set of games. There I said it. Even a fair amount of critics looked past the number and had fun with the title. IGN stated “Sonic is back, baby!” while the very critical Jim Sterling actually lambasted against the Sonic fans who were hating on it. 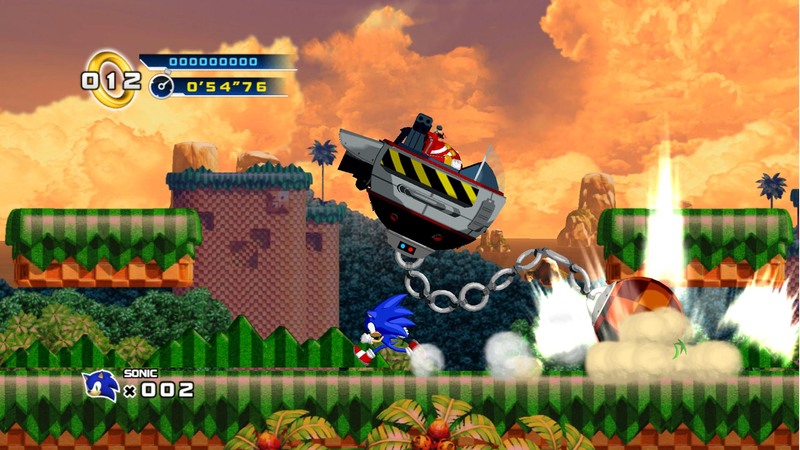 Episode 1 may have had poor, robot-like physics and had its levels clearly based on classic Sonic games. But I thought the level design was decent and it had a good pace and flow to the game that I hadn’t really seen since Sonic 2. What I mean by “flow” is that the game keeps you moving along and giving you platform and enemy challenges without the need to constantly stop you and slow you down (except for that damn torch puzzle). This “flow” however, wasn’t quite there for Episode 2. While the physics were redefined and made a whole lot better and the graphics were improved greatly, to me, it didn’t quite have the proper pacing and flow in the level design that the first one did. I mean really, a water level in the first zone? That said, I’d say it’s still about equal to Episode 1 and some levels are pretty dang good. I’ll even go as far as to say this. I…..like Sonic 4 episodes 1 and 2 better than Sonic 1. Don’t kill me! 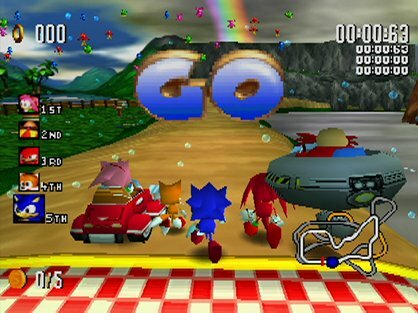 Let’s just put it out there, Sonic R is a bad racing game. It only has five tracks plus five more mirrored, the drifting is horrible and takes forever to get used to and you can probably beat and unlock everything in under 3 hours. So why is it so appealing to me? This is why. The soundtrack by the brilliant Richard Jacques and singing by the lovely TJ Davis is just wonderful and just puts me in such a mellow and happy mood that I could give a crap how short the main game is and I just sit back and play. I get a handle on the drifting and the game becomes easier and easier. I just sit back and start unlocking stuff while my ears are being gently caressed by these smooth tunes. By the time I’m done, I’m just totally chill. Sonic R. It’s like the gaming equivalent of weed. Ah man, that hit the spot. I need more Richard Jacques, so here’s the next on my list. I don’t think anyone disagrees that Sonic 3-D Blast was far superior on Saturn than on Genesis. However, many would disagree whether it’s a good game or not and that’s understandable. It’s not a great game by any means but that doesn’t mean it’s without its charm. The game is on an isometric plane in which you have to bop badniks to free the flickies only this time, the flickies follow you to a warp ring of safety. Only problem is that they will scatter in several directions if Sonic is hit by anything. Then, it becomes an annoying fetch quest of grabbing them all again. The other problem is that the isometric angle makes it hard to get you precise location to hit an enemy. I will say that it does have a decent exploration aspect due to its “3-D-ness” and it’s at least something different from what was the usual norm of Sonic game at the time. The main reason I enjoy this game is due to both the Saturn’s major upgrade in the visuals, but once again we get a smooth-jazz soundtrack from the great Richard Jacques. No disrespect to Jun Sunoue who did a great job himself on the Genesis version, but I always loved Jacques Saturn compositions and this one is no exception. The best one and the biggest difference between the two games is in the bonus levels. Click here to see the Saturn version. Now click here to see the Genesis version. The Genesis version just has some bland, rickety bridge while the Saturn version not only does a great job bringing back the Sonic 2 style bonus stages, but has such awesome music that I go out of my way to collect enough coins just to go back to those stages. 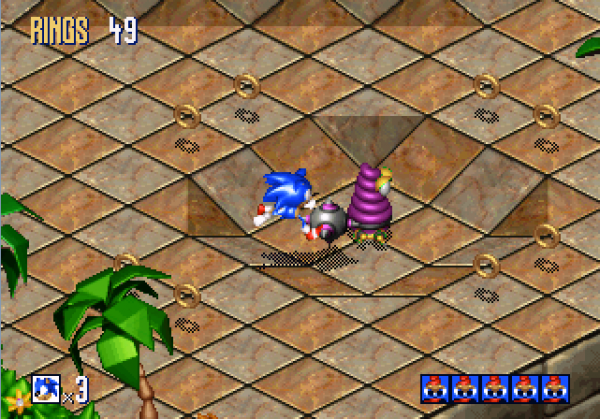 Sonic 3-D Blast on Saturn may be just an okay game to some, but its improvements over its Genesis brother makes it seem sooo much better than it actually is that I can’t help but enjoy it. Screw all the critics, I LOVED this game! Yes, the Werehog is a silly concept (as is a super-fast blue hedgehog), the Werehog levels are WAY too long and the medal collecting gets REAL annoying later in the game not to mention Eggmanla-OKAY! OKAY! This game has its problems but not really any more than the other 3-D Sonics did. Frankly, I’d still rather play through a Werehog level than one of those horrible Rouge/Knuckles levels from Sonic Adventure 2. 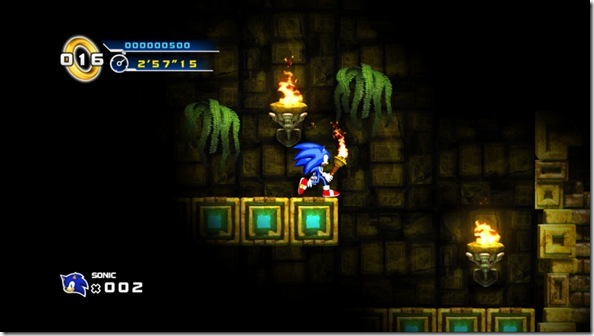 What I love about the game is not only those breathtaking, high-speed Sonic daytime levels, but the atmosphere it brings. While others scoff at the hub worlds and find them boring, I loved looking around the villages with their beautiful backgrounds and great detail. I even enjoyed talking to the local townsfolk who FINALLY looked like they fit in a Sonic game for the first time in history. This is mainly thanks to the designs by the Gurihiru duo who also still work on Marvel Comics including Power Pack. I think Japan had it right by calling it “Sonic World Adventure” because that’s what it really felt like to me, a world tour. 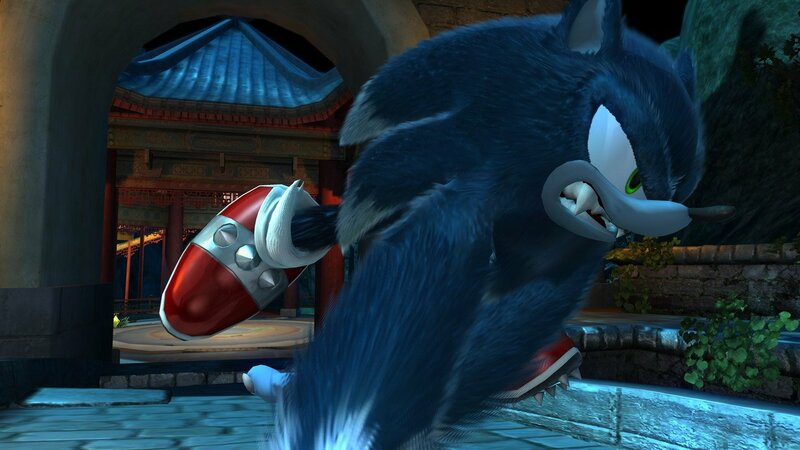 You can disagree that the Sonic Unleashed opening is the greatest thing ever, but you’d be disagreeing with fact. Then there’s that AWESOME opening animation! Easily the most impressive piece of Sonic animation ever shown and still gives me goosebumps just watching it. Plus, it just had such a quality feel to it. Even if you didn’t like it’s design at times, it felt polished. While I think Unleashed is Far from perfect, I don’t believe it’s the disaster some make it out to be. So what Sonic game, cartoon or whatever do you love that’s not exactly popular? Let us know in the comments. I might do another one of these “guilty pleasure” lists sometime in the future. Jason’s guiltiest pleasure is being the president of the Tommy Turtle fan club. 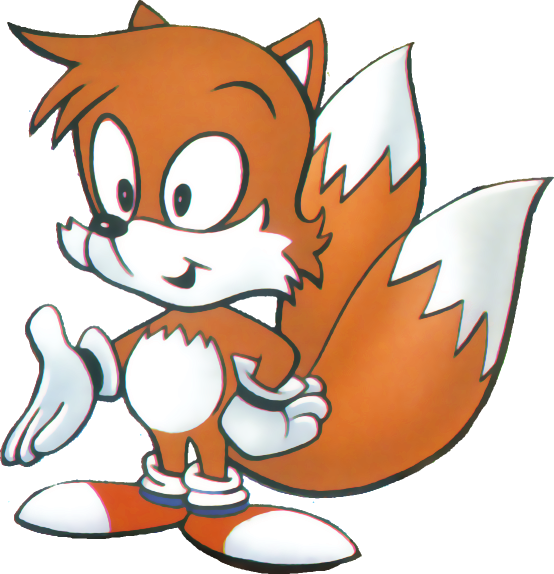 Uupdate: Following new information released by Welch’s family and acting agency, it turns out that he was not the voice actor for Tails or had anything to do with the Sonic cartoon show. Please see our newest story for details. 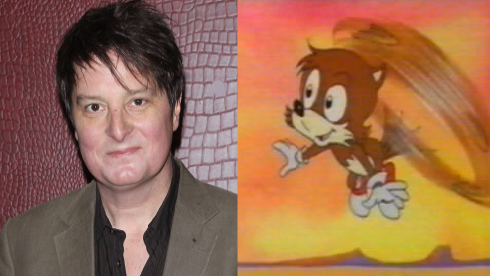 Original Story: It has been brought to our attention that AoStH voice actor Christopher Evan Welch, who played the role of Tails has passed away. His agency Paradigm confirmed that Welch was filming for HBO in LA when he died early Monday morning in hospital, he is believed to have been 48. Our thoughts and condolences are with Christopher’s family at this difficult time. 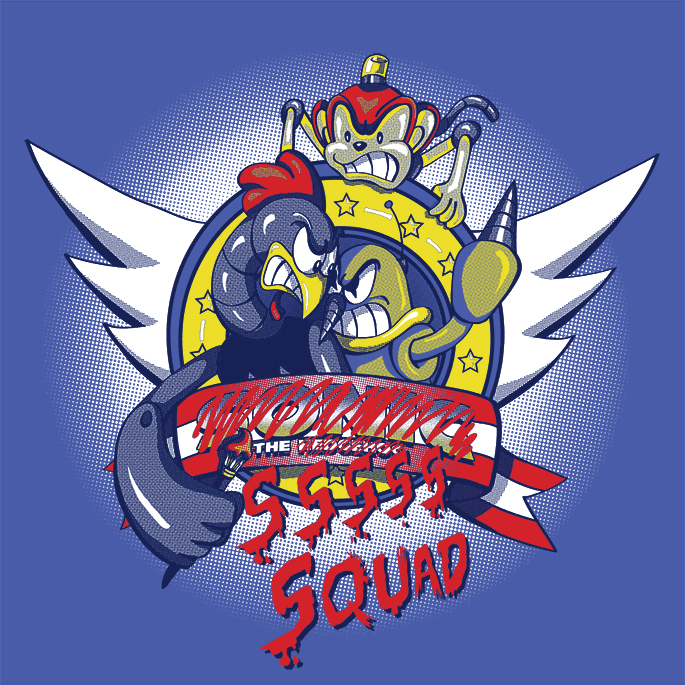 ShirtPunch, an online store that specializes in limited edition apparel, is for today only, selling a range of apparel and accessories themed on the SSSSS Squad from the cartoon series Adventures of Sonic the Hedgehog. You’ll have to be quick, because they’re only available for just less than 16 hours at the time of this post. Roareye Black is back! The creator of community creation talent pool The Sonic Showcase Network is settling down to The Sonic Stadium, and he’s spending some time to give you some unique video reviews on all sorts of Sonic gear. First on his list? The Adventures of Sonic the Hedgehog. This cartoon series ran from 1993 to 1996, and was the more comical, less… serious of two different shows that DiC produced starring the blue blur. Roareye intends to do individual video reviews for each episode of AoStH, but for now he’s created an ‘overview’ of the series in general. Never got to watch AoStH? Check out this video to get the heads up – in a way that only Roareye can. Let us know what you think in the comments box below – more are coming soon. These videos will be released as part of a big rebuilding initiative of TSS’ Information pages – when new video reviews arrive, episode pages will be created in the currently-limp Animation section of this website. Enjoy! 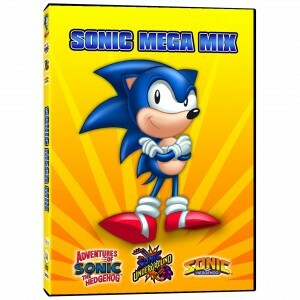 A new listing has appeared at a few online retailers such as Amazon that reveals Cookie Jar Entertainment will be releasing a DVD compilation on January 4th 2011 featuring episodes from Sonic’s original three cartoon series Sonic the Hedgehog (AKA SatAM), Adventures of Sonic the Hedgehog and Sonic Underground. 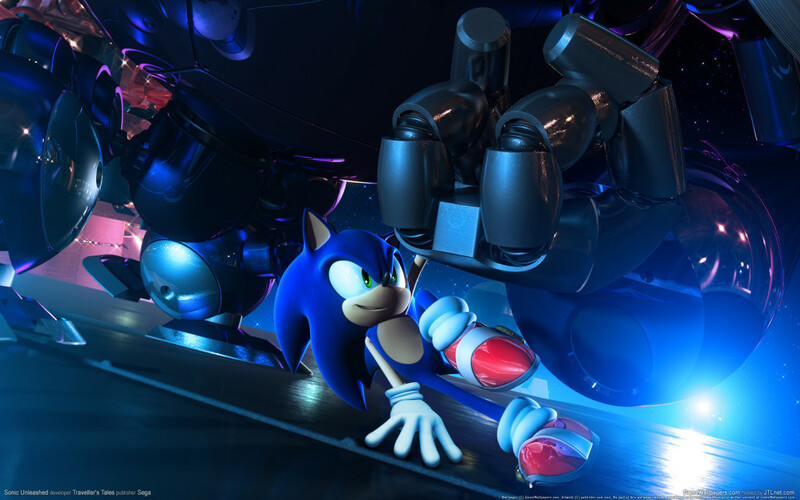 The compilation is titled “Sonic Mega Mix“, and according to retailer Future Shop it will contain one disc with a running time of 155 minutes. Future Shop also says the DVD is region locked at Region 1, so fans outside of the U.S. looking to import this will need a multi-region DVD player to run it. No information is available regarding which episodes or how many will feature on the DVD, but at 155 minutes you can expect about 6 episodes total. As for price, Amazon is listing it at $9.99, Barnes & Noble at $9.01 and Future Shop at $5.99 Canadian. In the U.S., Adventures of Sonic the Hedgehog Vol. 3 is now up for pre-order over at Shout! As mentioned in a previous post, it will only be sold online through Shout’s online store. 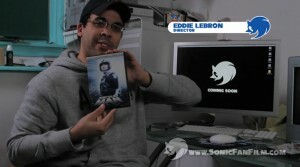 The price is $29.99 + S&H, and the release date is March 16, 2010. 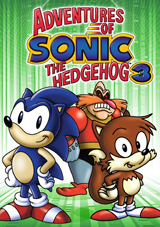 Everybody’s favorite oddball weekday morning show starring a hedgehog with super speed will have its third season release on DVD in “early 2010.” TVShowsOnDVD.com is reporting that the Adventures of Sonic the Hedgehog – Volume 3 will be a 4-disc set, published by Shout! Factory. In an effort to bring fans a series of memorable catalog titles under-represented at retail, Shout! Factory will be offering select releases of TV-DVD and film catalog titles as Shout! Factory Exclusives, available for purchase directly from the official online store site. AoSTH – Volume 3 will release with other old television shows with smaller fanbases, like Ironside, Mr. Belvedere, Room 222, My Two Dads, The Bill Cosby Show and The Goldbergs. Nothing is finalized on any of these DVD sets. There are no exact contents, box art, or anything else specified at this time aside from the estimated date of release. 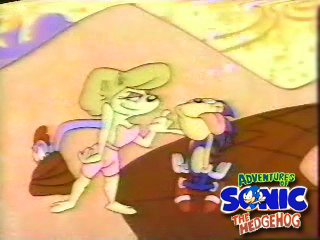 We got an interesting tip in our inbox about the pilot to that stupid “Adventures of Sonic the Hedgehog” cartoon. Now, The Nostalgia Critic recently tore it apart and I couldn’t agree more with him. The cartoon was an incredibly pointless romp with abysmal production values. It was terrible compared to the vastly superior SatAM series and cartoons as a whole. EDIT: Apparently, our YouTube embedder is all kinds of fucked up. Click here to go straight to YouTube for the pilot. DIC Entertainment, owners of the television rights to Sonic the Hedgehog, has been bought out by another US based group, Cookie Jar accoring to playthings.com. LOS ANGELES and TORONTO—Cookie Jar Group is purchasing licensor DIC Entertainment and its related businesses for $31.5 million, the two companies announced this morning. Under the terms of the agreement, Cookie Jar will purchase all of the issued and outstanding equity in DIC in a transaction valued at approximately US $87.6 million. Upon closing, DIC will continue as a subsidiary of Cookie Jar, which will remain a private company. The deal will give Cookie Jar access to the merchandising and licensing rights to such brands as American Greetings’ Strawberry Shortcake; Mommy & Me, the parent-oriented, direct-to-retail product line featured at Wal-Mart; as well as Inspector Gadget, Horseland, Cake, Madeline and Eloise, among others. Its programming library includes nearly 3,000 half hours of children’s programming with series such as Sabrina, Liberty’s Kids, Sonic The Hedgehog and Care Bears. The purchase also includes DIC’s European subsidiary, Copyright Promotions, and DIC’s one-third interest in KidsCo, an international children’s television channel created in partnership with NBC-Universal and Corus Entertainment.